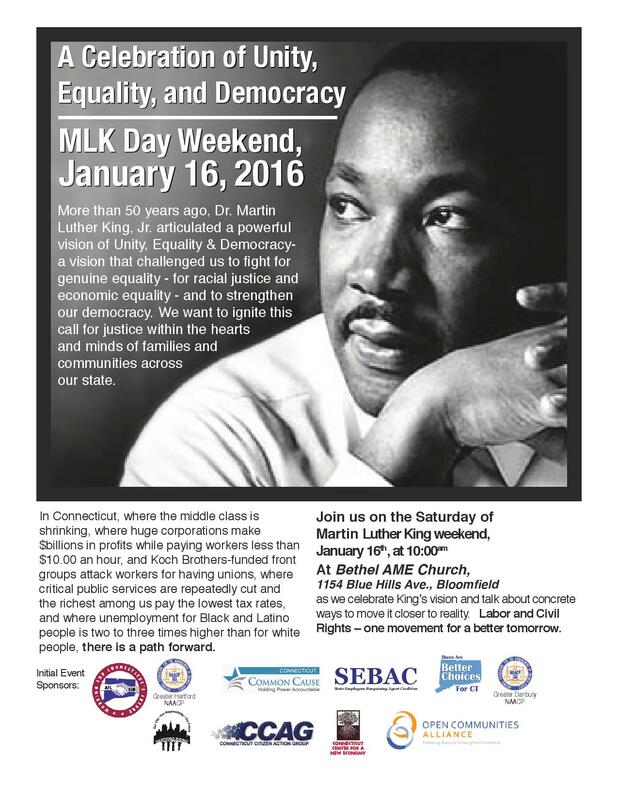 Make MLK’s Vision Reality – HARTFORD RISING! More than 50 years ago, Dr. King articulated a powerful vision that challenged us to fight for genuine equality, racial justice, economic fairness and a stronger democracy. Join us to talk about concrete steps we can take to move it closer to reality. UPDATE: The location of the event is the Bethel AME Church in Bloomfield. There is also a new flyer to share widely!